We have a great program lined up for our March club meeting on Wednesday the 16th. If you're new to fly fishing, this is a presentation you won't want to miss! Club members Ken Whisenhunt and Basil Lasure will be demonstrating the proper way to set up a new fly fishing outfit from scratch. The program will cover all the basics from spooling a new reel with line, to adding a fly to your tippet when you're ready to fish. Doors open at 6:30 PM and the program will begin at 7. As usual we'll have some great raffle prizes so don't miss out! 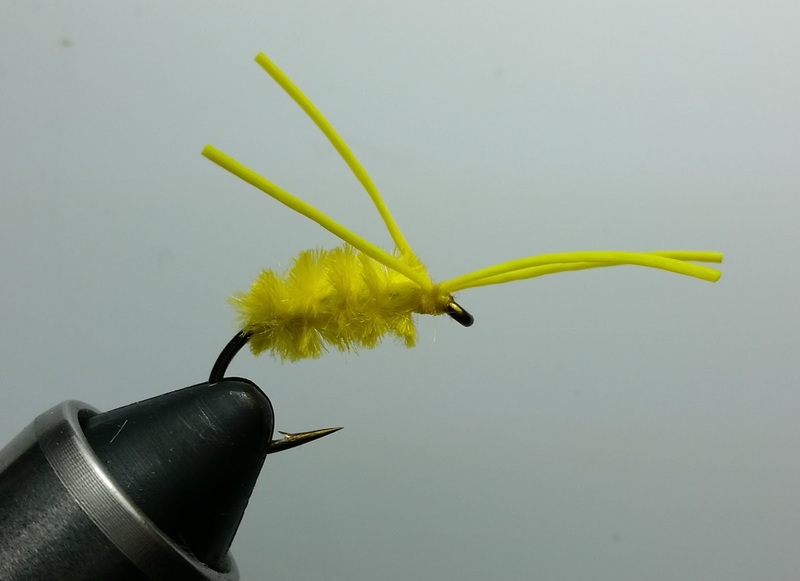 The fly of the month for this month is Bully's Bluegill Spider, a fly that sinks vertically that panfish just can't resist. Check out our Fly of the Month tab for the materials list and bring your best rendition of the fly to the meeting. And a reminder that our Spring Fling is next month, Saturday April 16th, at Round the Bend Steakhouse. We're going to have a great time with our usual festivities (raffles, drawings, and pies!). Jason Randall is our keynote speaker this year. Click the Spring Fling tab at the top of the page for more information about Jason Randall and to purchase tickets. Be sure and stay tuned for more information. Making the meeting after some specific time seems to be official that are good to discuss the monthly report. Our company has been arranging these types of meetings in the end of every month. Ik kocht dit horloge voor mijn vader op deze website op Vaderdag. Winkel voor luxe horloges Dit horloge is gekocht sinds mijn vader het droeg. Het werkte en werkte heel hard.luxe cartier horloges De sleutel is dat het er niet authentiek uitziet en het ontwerp perfect is. Hij vindt het erg leuk.